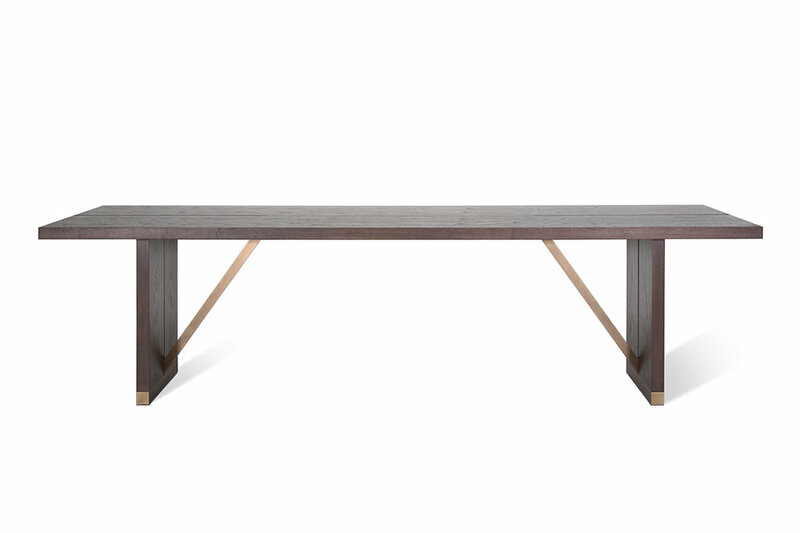 Inspired by Chicago's boulevards and avenues, the Ashland Dining Table features bronze details that travel from the foot to bisect the top. 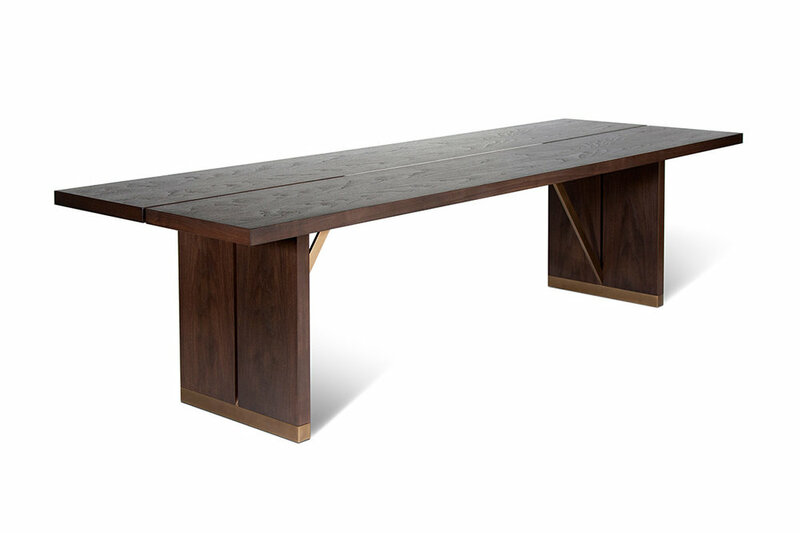 Made of flat cut walnut that showcases its arch-shaped cathedral grain, the split continues to each of the legs to highlight the metal detail. Shown in medium bronze patina.